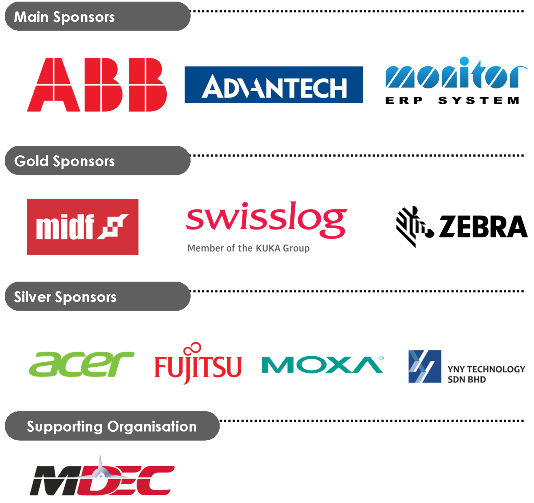 > Visit showcase of game-changing innovations to help you to digitise your operations. 03:15pm How to Use the Industrial Internet of Things (IIoT) in Your Factory? Register online http://www.fmm.org.my. You will need to complete all the steps of the online registration to receive an automated Event Order/confirmation via email. 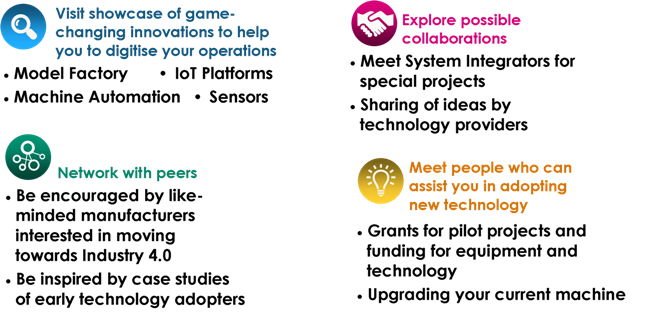 McKinsey’s Model Factory in a Box (MFIB) is a fully operational miniature factory that provides the ideal platform to learn about Industry 4.0 concepts and build capabilities. 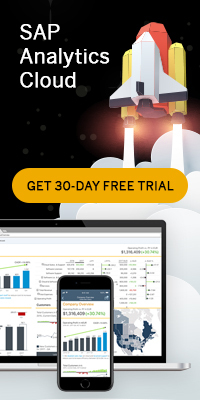 It features a host of digital modules that quickly convey knowledge about topics including yield, energy, throughput, predictive maintenance, robotics and many others. This proven model factory environments are the ideal place for one to start gaining in-depth experience and build the capabilities that are required for a digital transformation. By immersing in a realistic, interactive setting, the MFIB gives an essential hands-on experience with real digital applications, actual operations, and practical products. 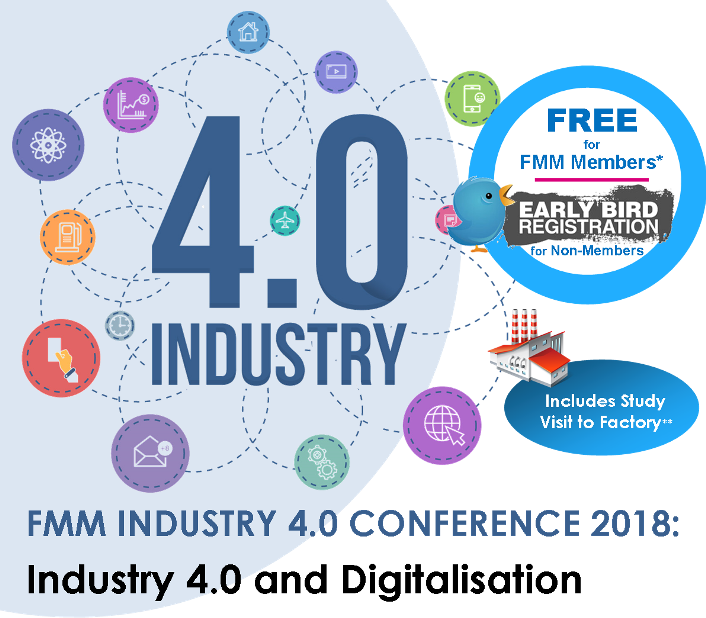 Be the first to experience the MFIB for FREE** in Malaysia by signing up for a session at the FMM Industry 4.0 Conference 2018! Registration for MFIB must be done offline. Brazil’s Vale opens its US$1.37b iron ore centre in Malaysia. 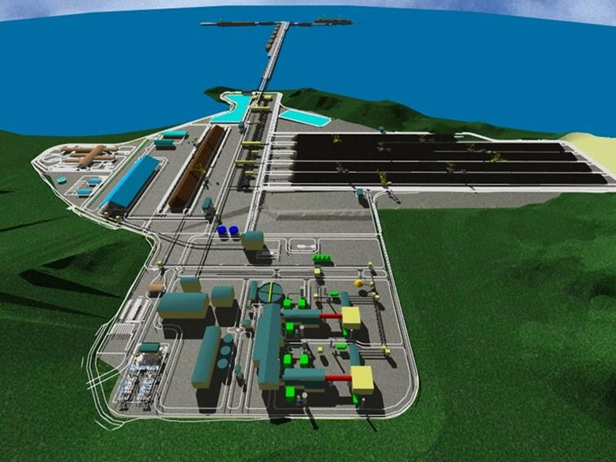 Vale in Malaysia is an iron ore distribution centre comprising a deep-water jetty and an onshore stockyard. This distribution centre is located in Lumut, Perak, Malaysia and aims to enhance the company’s capabilities in generating customised solutions for local and regional clients by shortening the distance between the core mines in Brazil and our consumer markets in Asia. The distribution hub can serve as a platform to boost local economy and contribute to the social development of Perak. At the facility, iron ore will arrive from Brazil and then be shipped to clients in Southeast Asia (including Malaysia), Taiwan, East India, and South China. Join FMM to visit this centre to explore its fully automated stackers and reclaimers process. It is one of very few facilities in the world with such capabilities. These unmanned stackers and reclaimers will be guided by 3-D pile scanners and GPS positioning system to ensure the highest accuracy is available on these automated material handling equipment. 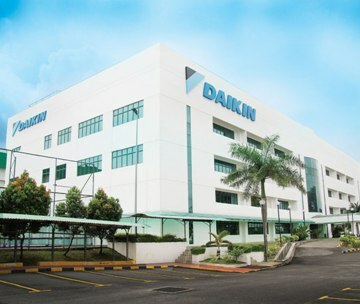 Daikin Malaysia Sdn Bhd houses the largest air-conditioner R&D centre in South-East Asia, with a total built-up area of 7,340 square meters. Their research facility is one of the best in the world, and costs RM10 million yearly to operate and maintain. Over the years, numerous inventive and ground-breaking products have been created here. Daikin Malaysia accredited the key factors to their success to their Culture, People and Business Partners. Join FMM to Visit Daikin Malaysia to learn more about their Culture and Initiatives on Industry 4.0 Projects. Understand Daikin’s Systems on: Kaizen activities, Skill training activities, DOJO training area, Small automation activities, and Kara Kuri system. Covering 13,000 square feet, Huawei’s CSIC aggregates over 120 reference applications and services across the world. This centre has been designed as an ICT innovation hub and centre of excellence to drive industry open ecosystem and accelerate digital economy transformation in Malaysia. 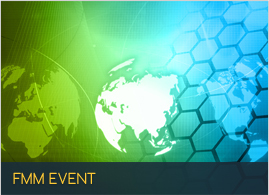 Join FMM for this visit to learn from case studies and industry experts on how to utilise technology to improve your processes and productivity. Study visits are open to FMM member participating in the conference only and confirmation is based on first-come, first-served basis subject to approval of the host factory. * limited to 200 participants on a first-come, first-served basis. A fee of RM250.00 will be imposed on confirmed participants who fail to turn up. Maximum of 2 participants per Company. Additional participants will be subject to approval / chargeable at RM250.00 per participant.